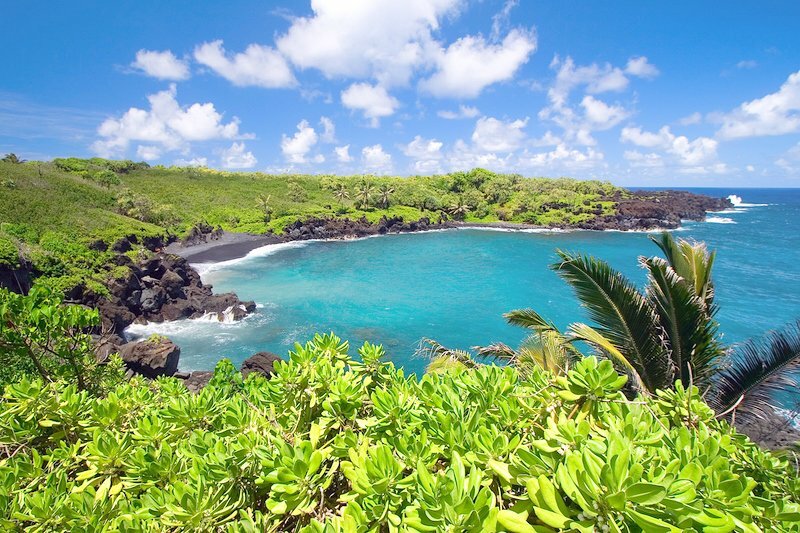 White Rock Beach, locally known as Palauea Beach, is one of the best-kept secrets of Maui. 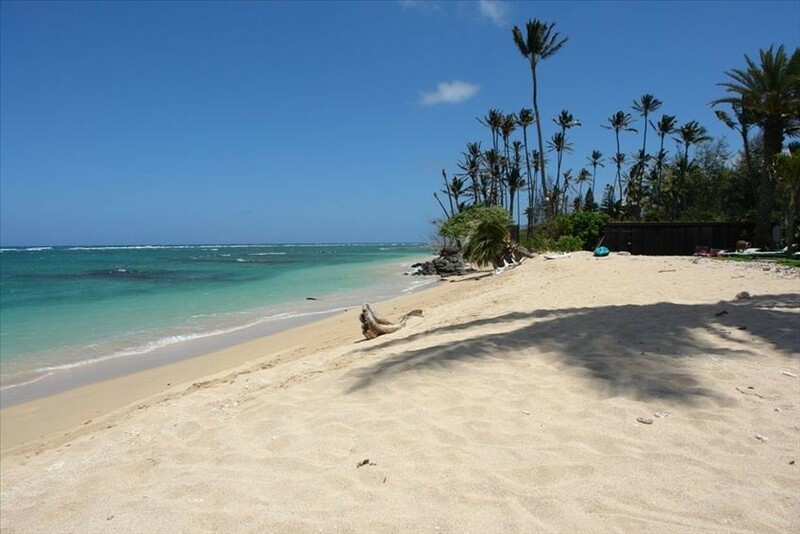 Located in the island's southern side, the beautiful and wide crescent-shaped sandy beach offers excellent snorkeling and diving spots. Well-protected from big waves and strong winds, guests can enjoy clear visibility when snorkeling and do not have to endure sand blasting while soaking some sun or enjoying the views. The beach is ideal for families with young kids as it has a sandy bottom which slopes gently, best for the young ones to swim and play. The rocky outcroppings at both ends of the beach are perfect spots for snorkeling with clear visibility and gentle waves during calm season. During south swells, there are decent boogie boarding opportunities. However, caution is advised during storms or large swells as the ocean can become unsafe with rip currents. Another charm of the beach is its secluded location making it uncrowded and peaceful. Guests are usually local folks with their vacationing family or friends as well as some internet-savvy tourists who have learned of the beach's beauty online. Thanks Google! 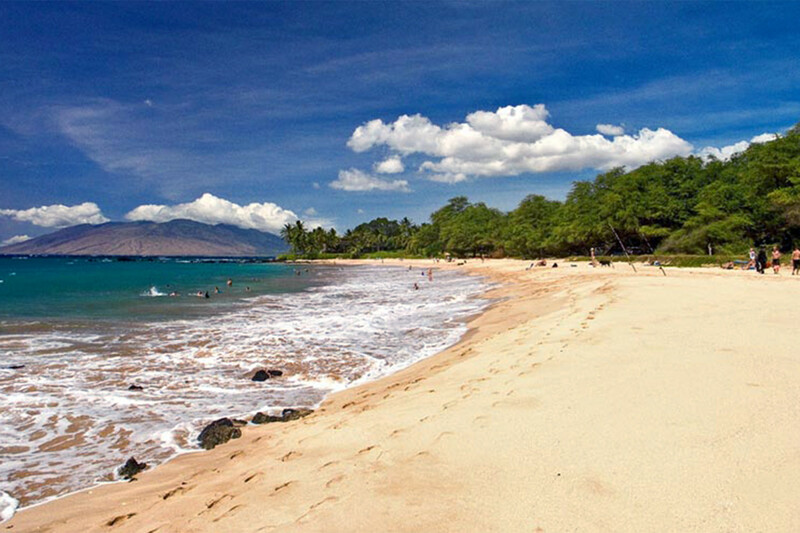 The back of the beach used to have a kiawe forest but some of its portion are now private properties which are off limits to the public. Some high-end vacation home developments are being built in the area. Be warned that there are no facilities and lifeguard on this beach so be cautious when entering the water.